I’ve just been away for three months on study leave. Apart from all the reading, writing, thinking, chatting and travelling, I also used the time to catch up on some long lost music. Crowded House, Eric Clapton and Bruce Springsteen got a lot of space, but it was Bruce’s Dancing in the Dark, played loud during a massive thunder storm in Tennessee, that sticks in my memory. I think part of the reason this one stuck was because a couple of months before I left the UK I had a bit of a stroke – in my brain, not of the cat. As many people know, when something like that happens and is beyond your control, you feel like you are in the dark a bit – even if dancing is the last thing you think of doing. In my case, it wasn’t a huge deal. It was a minor blip, but it came with consequences. I had to cancel travel and engagements abroad. But, on the bright side, I now have documentary evidence that I do have a brain. Springsteen might have been singing about a different experience, but I spent a couple of months sleeping a lot, reading a lot and reflecting on what it means to be alive. Because the truth is, we all live all the time in the dark – not in any miserable sense, but just that none of us knows what is going to happen next. Not everything is in my control. I can make plans and imagine a future, but I can’t guarantee it will happen. Tomorrow I will be speaking on the phone with the Bishop of Colombo in Sri Lanka – a more dramatic illustration of my point. Another Bruce – singer-songwriter Cockburn – once wrote: “Sometimes the best map will not guide you; sometimes the darkness is your friend.” And I know what he means. I didn’t worry when my brain blipped, simply because, as Easter whispers to a mortal world, my trust is not ultimately in me or my own security – it is in the God of resurrection. Anyway, I am fine, back to work, back to Radio 2, and promising never to dance in the light. If you’ve seen me, you’d know why. I have never forgotten that. I admit that when I mentioned this recently someone responded by saying that the light in the tunnel might actually be the oncoming train. But, taking a more positive view, I think it is helpful to recognise that sometimes life is pretty complicated and messy, and that the present darkness isn’t the end of the story. This month of all months this should be clear. Our Jewish brothers and sisters celebrate Hanukkah, and they do so with candles and lights. Christians are living through Advent – which, even in the word itself, is about waiting and not running out of the darkness in order merely to escape it. A different way of putting this was told to me by a guy who said: “When you’re in the desert, look for the flowers that grow only in the desert.” What he meant was: if you spend your time in the desert looking for daffodils, not only will you be disappointed, but, you will also miss out on what could be experienced or learned only in the desert. This isn’t easy or romantic, is it? But, I do think it’s powerful. This is the script of this morning’s Pause for Thought on BBC Radio 2’s Chris Evans Show. It’s that time of year again. For me August slows everything down and I finally get some space. But, it’s also the time for long car journeys … and that means loads of time to listen to music. The great thing about your kids having grown up is that no one argues with your choice of CDs. Well, what you’ll find in my car this morning – I have just checked – is a strange mix of Bruce Springsteen, Bob Dylan, Richard Ashcroft, Elbow and the wonderful Imelda May. I got back from a trip the other day feeling that my emotions had been shredded, listening to songs that seem to have been dragged out from the depths. And that’s the power of music. Words on their own can pack a punch, but add a good tune and some decent backing and your guts go on a different journey. There’s nothing new about this. One of the other things I do during August is read all 150 Psalms from the Hebrew Scriptures. Why? Simply because I get immersed in a song book that doesn’t always reflect my mood or circumstances, but does provide a vocabulary for times yet to come. Whether howling with complaint about the injustices in life, or laughing with joy at the wonderful enormity of the cosmos, or weeping alongside those whose lives have been torn apart, or encouraging your mates to stick with it regardless of the hindrances … the whole of life is in there and there’s a song for everyone at every time and in every place. Just over a week ago I was talking to child refugees in the countryside outside Khartoum in Sudan. Kids whose family have disappeared and who find themselves abandoned or orphaned through the violence of others. Yet, they still hear the echoes of a haunting melody that whispers of hope as they are taken in and cared for by strangers who meet them where they are. Lament is coloured by laughter; memory does not just belong to the past, but is being created for tomorrow. A couple of years ago a book was published that offers readings, prayers, poems and reflections for Remembrance. It is called ‘Hear My Cry’ – a repeated and heart-felt wrenching of the spirit taken from the Psalms. But, it is the subtitle that grabs the attention: ‘Words for when there are no words’. It sounds like a ridiculous paradox, yet anyone who has ever found themselves in despair will know exactly what it means. There are times in life – and always in the face of death – when we find ourselves empty and silent. As human beings we seem made to make shape out of chaos; but, bereavement can leave us simultaneously speechless and desperate for order. And we find we cannot control the grief or make it better. In such circumstances we sometimes need the words of others when we have no words for ourselves. Someone else needs to provide the vocabulary for grief, the words for when we have no words and silence is too painful. If this is true of most bereavements, it is particularly true when death is violent and distant. To lose a son or father or daughter or wife or husband in the course of military conflict brings a particular silence, a particular grief. The distance and the unknowing of the context makes the death more grievous – even if death is always death. I have never lost anyone close to me in war, but my parents lived through the bombing of Liverpool during World War Two. I also took part in the intelligence support for British forces in the South Atlantic, and saw the consequences for those who were involved and had to live with the deaths of friends and colleagues. First, we need to create a public event of remembering the people and events that have shaped the society to which we belong and in which we invest. 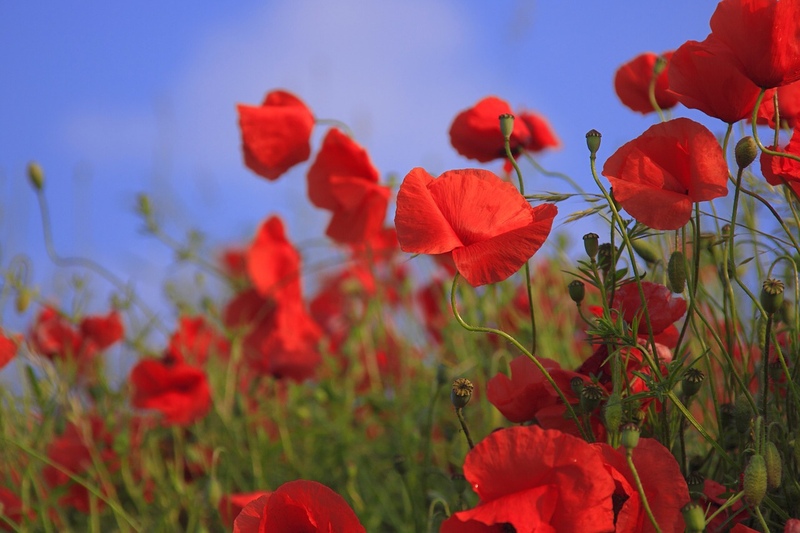 Those whose loved-ones have died in conflict on our behalf need that public recognition of their loss. For their loss is our loss. Canadian singer-songwriter Bruce Cockburn watched the coffins of slain Canadian troops being carried off a military aircraft in Afghanistan several years ago, and wrote a song about it. Having described in the most moving language the tragedy and dignity of what he had witnessed, he writes: “Each one lost is everyone’s loss, you see; each one lost is a vital part of you and me”. That’s why need to remember publicly. The second reason is that we simply cannot know who we are if we don’t remember where we have come from. It sounds obvious, but it isn’t easy to do. Our memories are selective and some memories do need to be left where they belong: in the past. The story of Israel in the early chapters of the Bible is one in which public acts of remembering are integral. Prior to entering the Land of Promise the people are warned that they will too easily forget that once they had been migrants and slaves in a foreign land. Once they got their own land and built new lives they would prosper … and forget their own origins. Basically, they would then begin to treat other people as their slaves. So, the year was broken down into festivals that would compel the people to re-tell and re-enact their story, passing it on to their children and future generations. It would cost them the first and best ten percent of their harvest. And the edges of their fields would be left for homeless, hungry and sojourning people to find sustenance. That sounds like a twenty percent tax for starters. Most religious communities shape the year similarly, celebrating festivals that shape our memory and remind us of what matters – especially that we are mortal, that we shall one day die, that a good society might be worth dying for. The loss of such festivals in secular society might be more costly than we realise. The point is that we as a society need at least one day a year when we re-member – literally, put back together the parts (members) of our own story. We need to recall the cost that people have paid and continue to pay for preserving the freedoms we have. We need to recall with honesty and integrity those things which we should celebrate and those of which we should be ashamed – from which we might learn for the future. That is where Remembrance Day fits in. Whether directly connected to the dead or bereaved, we come together in local communities to create space for remembering our common story. It stops the routine of life and creates silence in which we drop words for when words need to stop and silence reigns. We do it together, conscious of how fragile our lives are and how fragile our civilisation is. It is said that we should know for what we would die. I think we should ask ourselves for what we, in the light of our mortality, will live for. It is said we live in interesting times. Europe is on an uncertain political trajectory, the Middle East is challenging, Russia is flexing its muscles, and the United States are about to choose a new president whose influence will reach far beyond their own shores. Who'd be a leader? But, what is interesting about what the Nobel laureate Bob Dylan called 'Modern Times' is how the arts play around with the world's big issues, shining different lights onto what we see in the news. Jude Law's new film series in which he plays the fictional first American pope appears to be less interested in the power politics of the Vatican and more in what religious power does to the people who wield it. Bruce Springsteen uses music to express protest against the lot of ordinary people in parts of America that are remote from Washington's eyes. Gospel music itself was a creative expression of lament, hope and confidence on the part of people suffering human injustice for generations. I mention this because I suspect the world needs more poets and artists. And possibly fewer lawyers – although the lawyers I know are wonderful. Hymn-writer extraordinaire Charles Wesley maintained that we learn our theology not from what we hear from the pulpit, but from what we sing. Put a good tune to it and we'll happily sing anything – occasionally even nonsense. So, he wrote hymns and songs in order to help Christians find a vocabulary for their experiences of God, the world and each other. The prophets of the Old Testament got it straight away: use words, images and stories to expose reality and prompt the questions that easily get overlooked by those with the power to preserve. Jesus got it, too. He told stories and used images that don't just prod the intellect, but scratch away at the imagination. The great thing about holidays is the space to switch off and read stuff that has nothing to do with work. 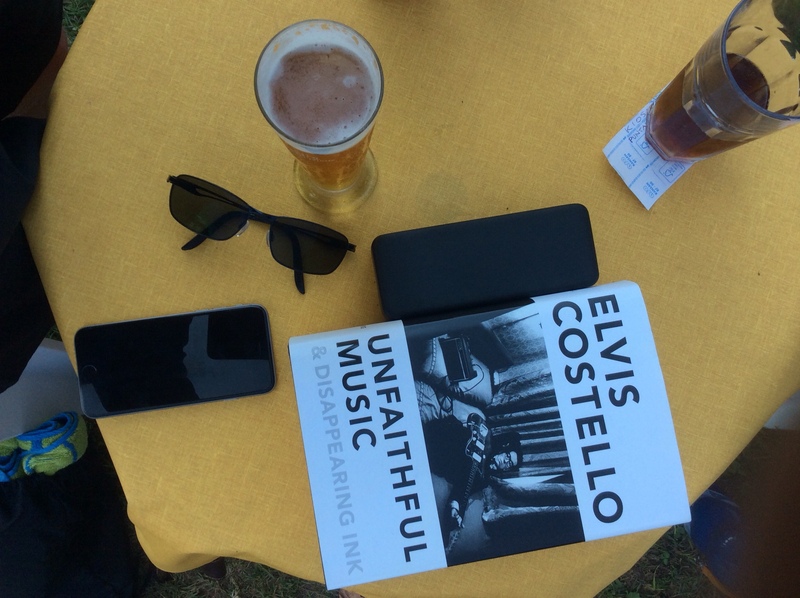 This time I am starting with Elvis Costello's brilliant autobiography Unfaithful Music & Disappearing Ink. It was a bit of a silly choice to bring to the beach – an enormous fatty of a tome. But, it follows on from Philip Norman's excellent biography of John Lennon and Sylvie Simmons biography of Leonard Cohen – both perfect, intriguing, funny, poignant and entertaining. They were followed by Bruce Cockburn's epic memoir that laid bare the life and mind behind the poetry and music. Like Cockburn, Costello wrote the book himself and the same lyrical humour pervades the text. I am only half way through, but can't put it down. Not the usual beach book, but it provides a mental soundtrack that doesn't require sticking headphones in my ears. Not so much “watching the detectives”, but, in the light of what's going on around the world, more a case of “Poor Fractured Atlas”. I think I'm probably not alone in having from time to time a song going round my head that I can't shake off. Not that I want to, particularly, but it can sometimes be a distraction when you're supposed to be concentrating on something else and the song keeps interrupting. The one that's buzzing through my consciousness this week sounds a bit twee, but it isn't really. It's a Bruce Cockburn song called 'Don't forget about delight'. Basically, it recognises that the world we live in is complicated, that the news crowding in on us from all sides is usually bad, that the world can often look a bit bleak. But, says the poet, don't forget about delight. It seems to me that this is a necessary reminder, a timely prompt. To use a different metaphor, the darkest night can be illuminated by the faintest light. Or, as someone else put it, don't just curse the darkness – light a flame. I picked up a book recently called Hope without Optimism. It's written by Terry Eagleton and makes an important distinction. Optimism is, in one sense, wishful thinking – a belief that things will get better. Hope goes deeper and is more realistic. Hope doesn't depend on a set of circumstances working out, but keeps us constant whatever the circumstances life throws at us. That's why Christian hope is rooted in the character and person of God, not in a formula for a successful life. So, I go along with both Bruce Cockburn and Terry Eagleton – the poet and the professor. When the darkness crowds in I need to remember not to forget about delight. When the news is dominated by fear and cruelty, I must spot where love and light burn through and refuse to be extinguished. When horizons begin to narrow, I can open my eyes to the rich possibilities that lie ahead – even if hidden at the moment. So, hopeful rather than optimistic. And, whatever else happens, never forgetting about delight. And I am quite happy for such a song to haunt my memory and imagination, making me restless for the light.